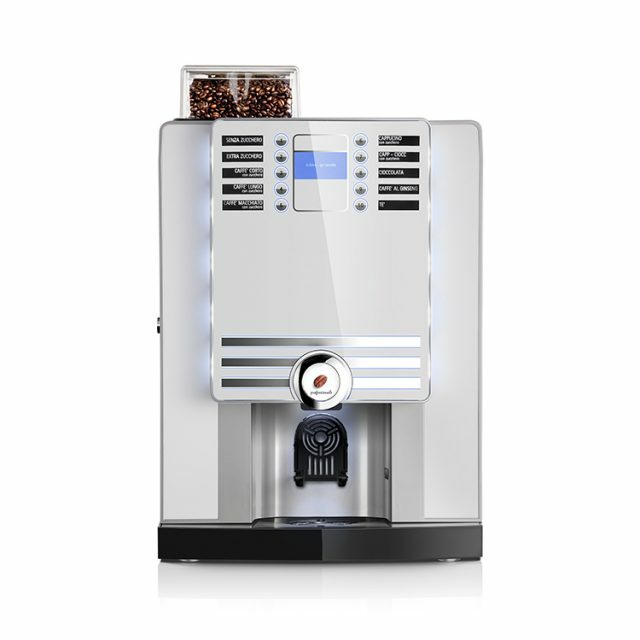 Home » Best Bean To Cup Coffee Machine Options 2019! 2019 has rolled around already and with this new year, brings new opportunities. One of which is to upgrade your coffee! 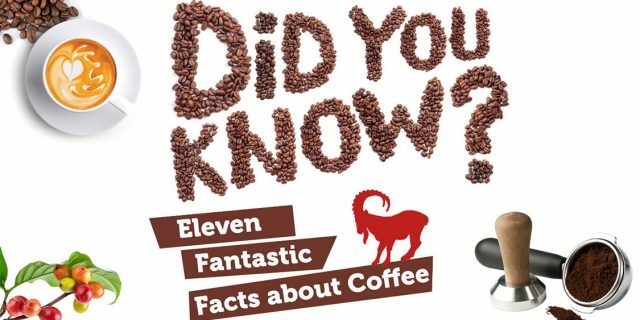 It is easy to get lost in the numbers and facts among tabletop bean to cup coffee machines. Getting caught up on how many cups per day and if it has a steam arm or water tank or can do the cha cha slide. This isn’t a list in order of “best to worse”, but rather, an overview of the best dry milk bean to cup machines you can buy which do the best job possible. As much as we all love a traditional barista made coffee, in some instances for an example: our customers and partnership at Fairhaven Woodland & Water Gardens. It’s run majorly by volunteers, who change often so to save constantly having to train baristas they opted for bean to cup machines; to allow any volunteer behind the counter to make delicious drinks with fresh coffee beans from our roaster to their lovely customers. No mess, or fuss, just delicious coffee right from the bean. There are machines better suited to certain areas. Today we’re focusing on dry milk bean to cup machines suited for medium sized businesses and medium volume areas. 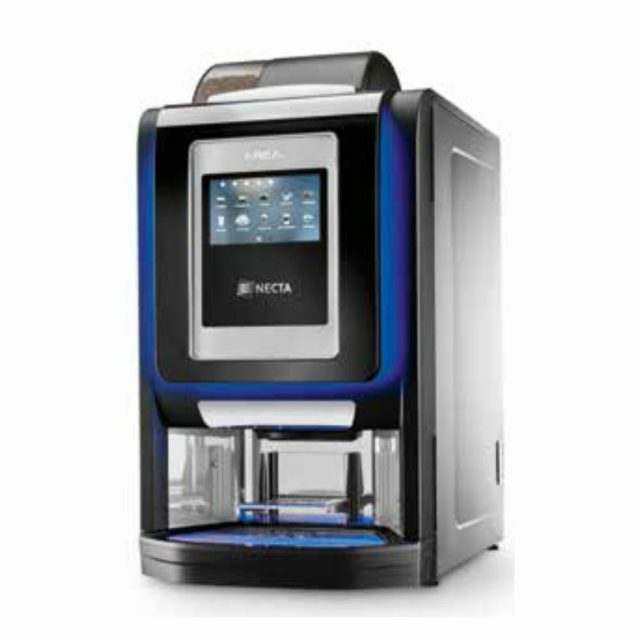 Our first on this list is the N&W Krea Touch: Features a 7″ HD Touchscreen, chrome frames, lighting system, chrome and black design, wide cup room, stainless steel delivery area. The newer and more elegant model of Krea machines which has great performance for both small and medium sizes businesses. Easy to use with its friendly user interface it boasts flexible and custom recipe management and even branding and video management too so you can keep on brand whatever your business. 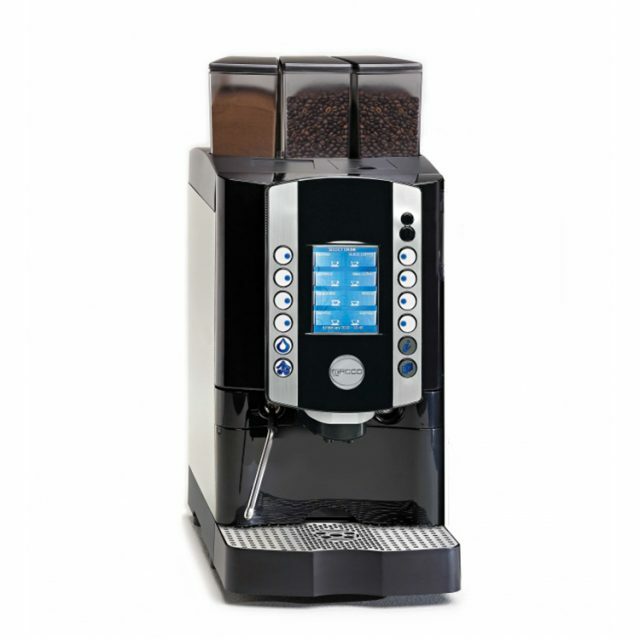 Another great machine to consider this year is the Cino XS Grande VHO Hot Drinks Machine: Featuring simple flush buttons and ultra simple interface. Smooth lines and edges which make it appealing to look at and easy to clean and maintain. Illuminated delivery area for high quality appearance and 10 great custom beverage menu options. Although more suited to a smaller businesses the Cino is still a great addition to this list and shouldn’t be underrated. Next up, the GF-X4 by Macco. Although not the most attractive machine of the bunch it does boast an auxiliary pump which can get your cappuccinos up to the perfect foamy constancy. It has the option of fresh milk and dry milk option which makes it versatile with your needs. With an inbuilt speaker system for an interactive experience and integrated rinsing for maximum hygiene this machine is perfect for medium sized businesses and can really get the job done. The So-Pure Platinum Espresso makes a huge impact, it’s got the looks and the top quality drinks needed to fit into your business. The large LED display makes a big impact and statement with the ability to add branding and video content. 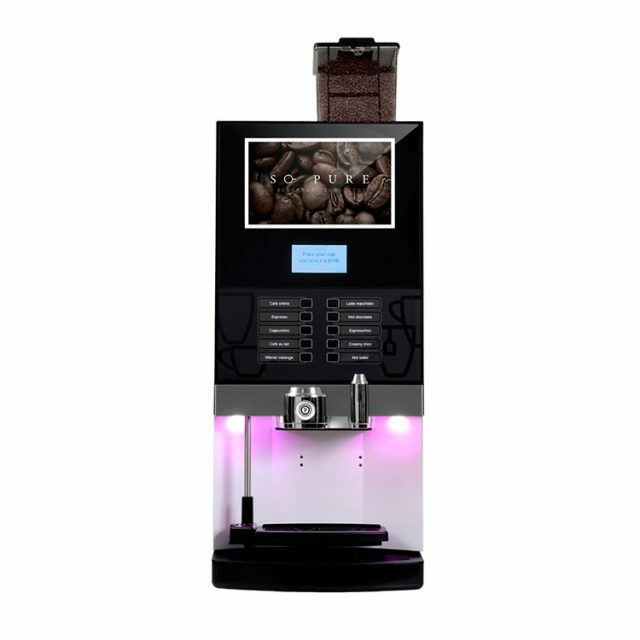 Although other machines have lights none quite do it as well as the So-Pure with multi coloured options. Aside from it looking the business it also has high quality Swiss grinder inside and provides outstanding quality for the amount of use it can sustain. 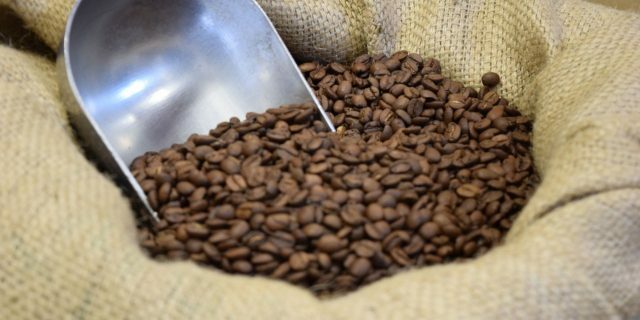 Don’t forget to follow our social channels for the latest on our coffee roastery! next post: Wild Coffee Species Threatened by Climate Change & Deforestation.